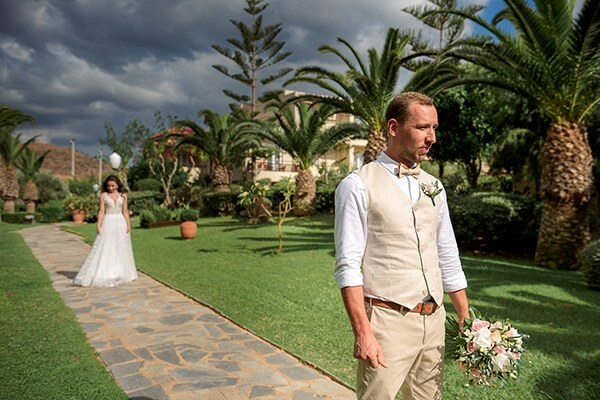 We are sharing today a beautiful destination wedding in Crete you will love! 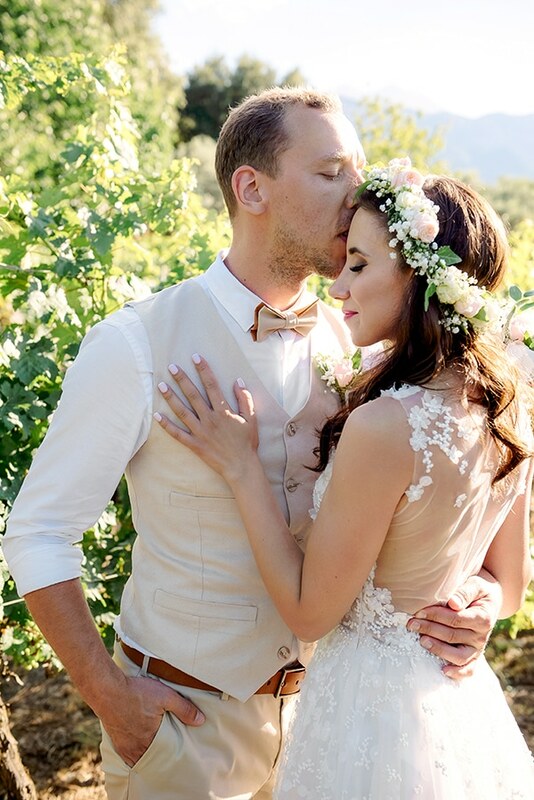 The couple loves nature, so they decided to have a rustic wedding at a winery surrounded by greenery and vineyards. 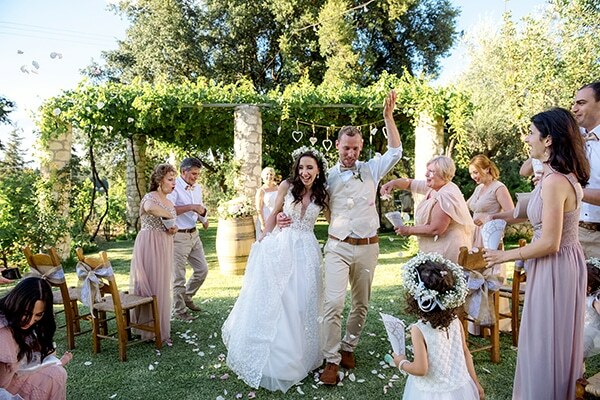 They exchanged their vows in a beautiful ceremony in the presence of their closest friends and family. 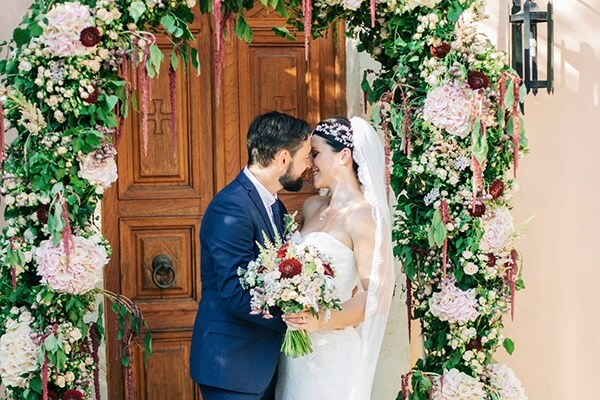 We loved the first look of the couple; so emotional! 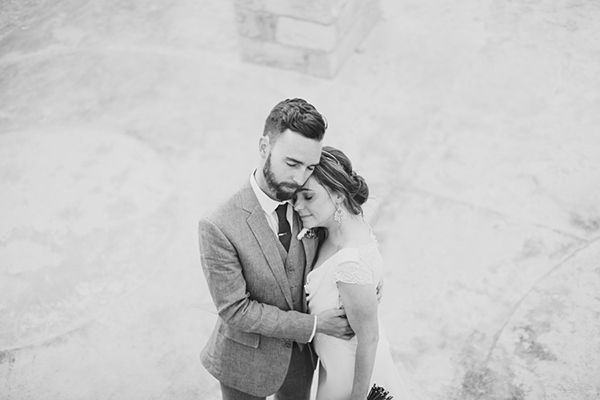 Have a look at the following photos by Olga Toka Studio and enjoy their beautiful day! 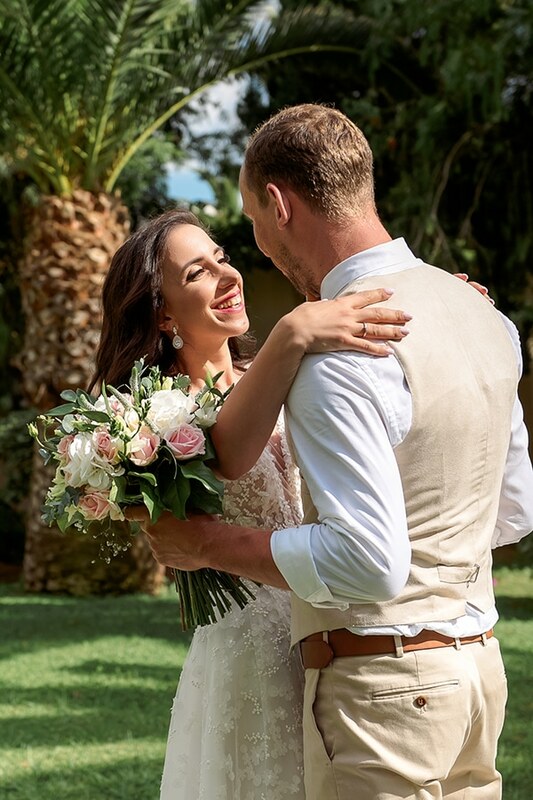 The bride shared with us: “We started dating in February 2016 and during our summer trip to the Rhodes island in 2017 he proposed”. 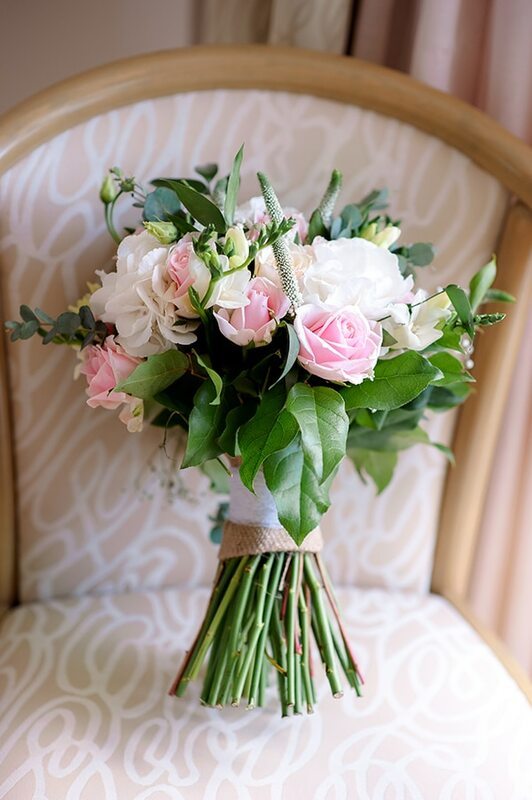 “My lovely bouquet was composed of pink roses, white freesia, gypsophila, eucalyptus and white eustoma”. 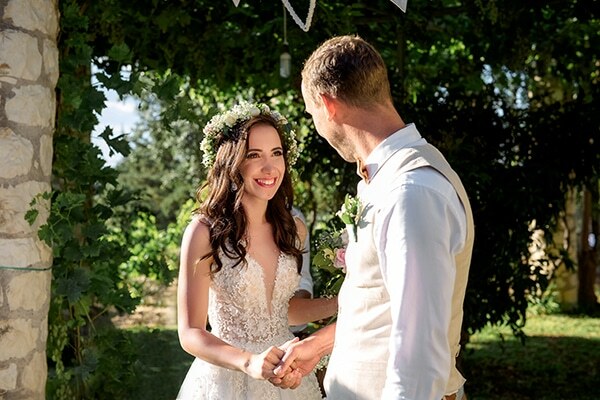 “I fell in love with my wedding dress the moment the assistant lady in the shop started taking it out of the garment cover. 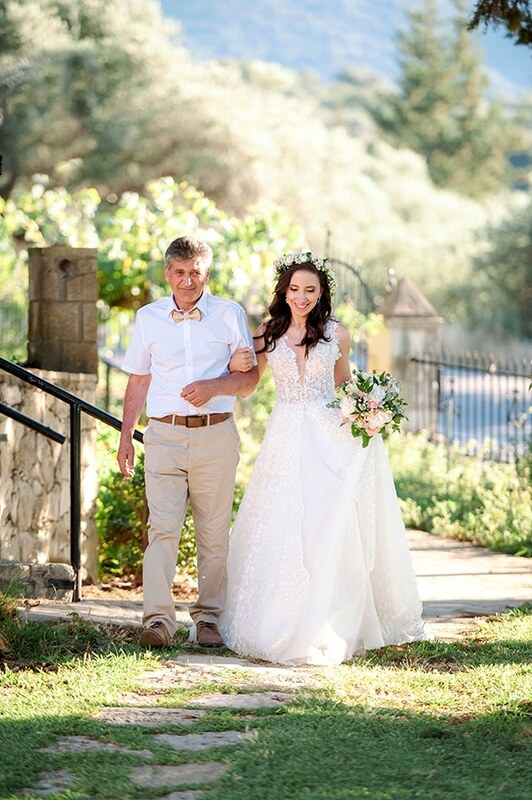 By that time, I had already tried in different shops more than ten dresses, but the magical words ‘it’s mine’ never came to me. 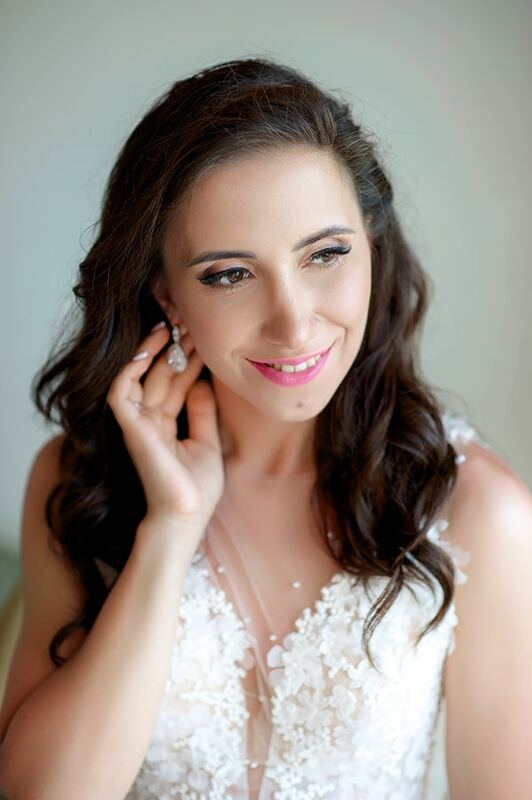 But when I saw that very dress before even trying it on, I knew that “it was mine”. 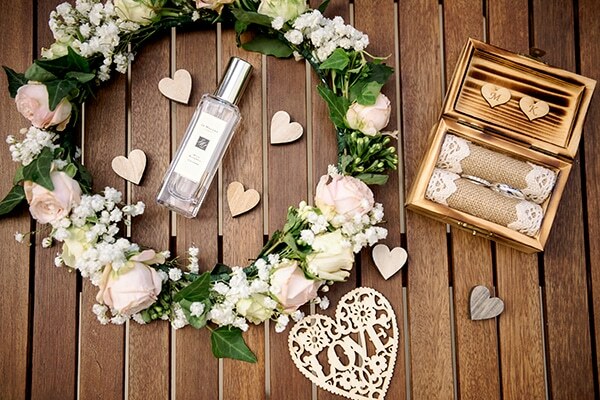 That’s how much I loved it”. 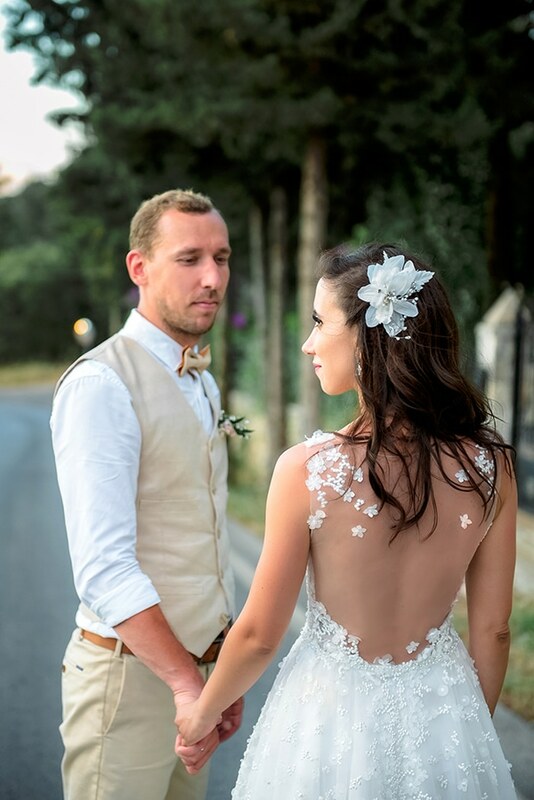 “The best moment for me was my husband’s reaction, when he saw me in my wedding dress at the first meeting of the bride and groom”. 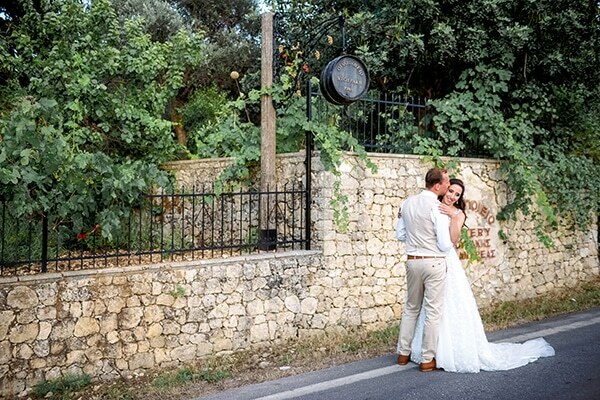 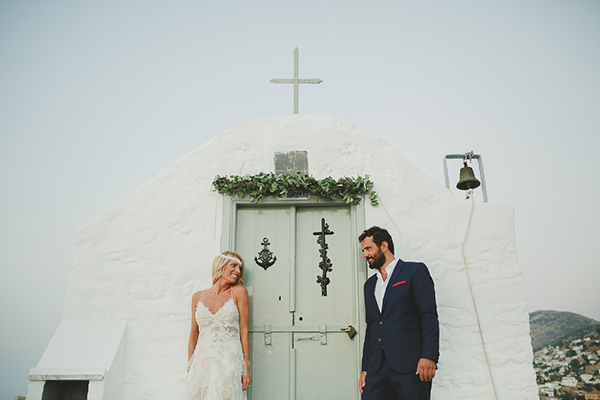 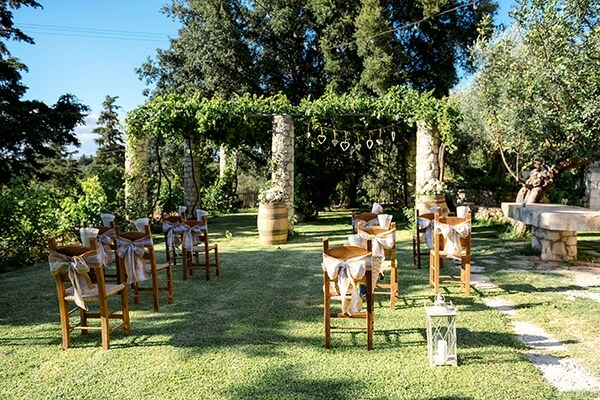 “The ceremony took place in Crete at the small and beautiful Dourakis Winery. 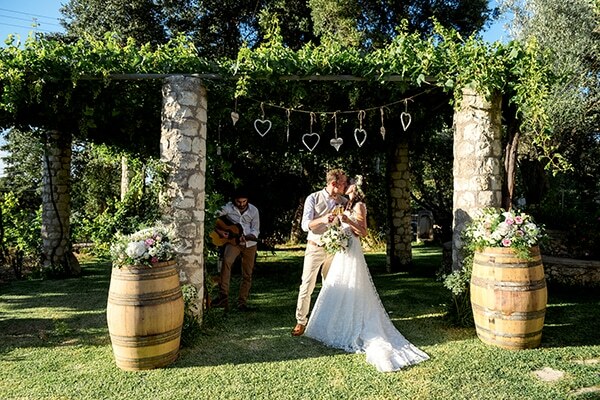 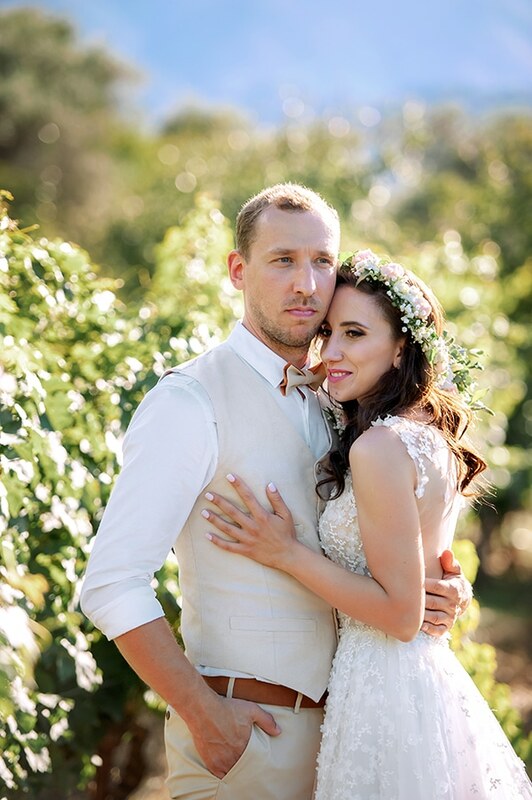 We wanted only our close family members at the wedding, for it to be quiet and romantic, and the Dourakis family owned Winery high up in the mountains surrounded by the gorgeous greenery and wineyards made a perfect location for us”. 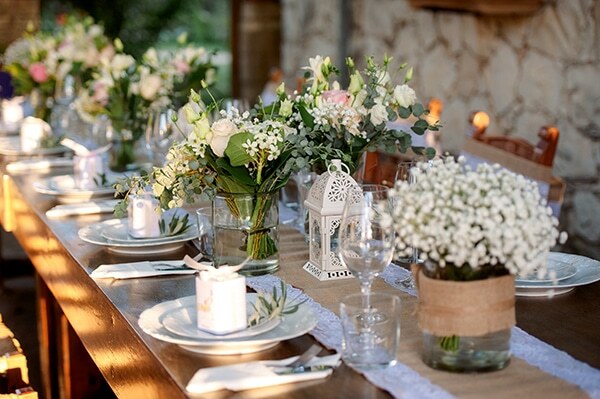 “As we both love nature, we decided the wedding style to be rustic. 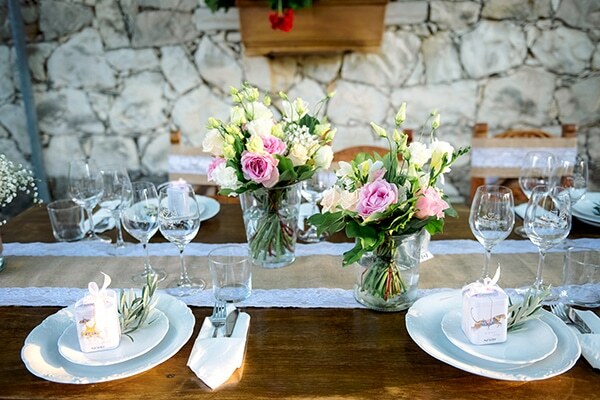 As the wedding was planned in the rustic style we wanted all the naturalness, mostly wood, beautifully decorated with flowers wine barrels, lanterns with candles and vases with gypsophilia, all in soft pink and white colors. 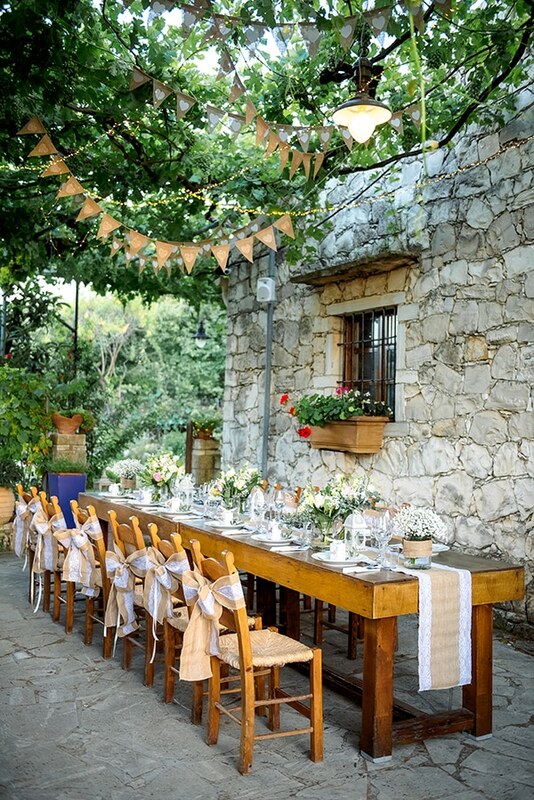 The nature of the winery itself was already a beautiful decoration”. 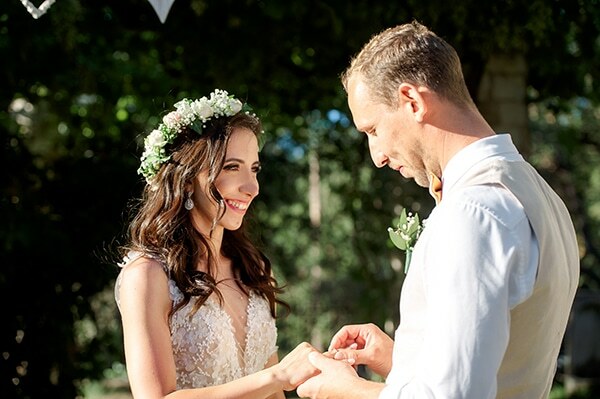 “The lovely weddings featured on the wedding blog Chic and Stylish Weddings were inspiring us while planning our own wedding”. 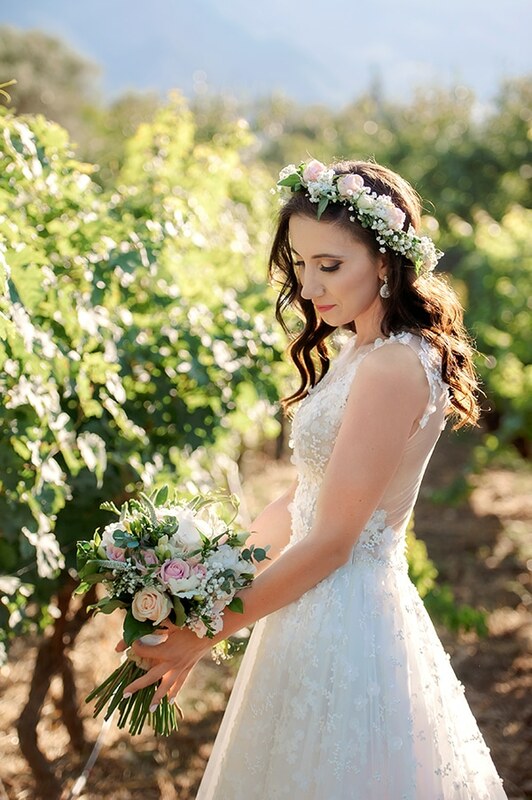 The bride dress is stunning.